Simple, as that. 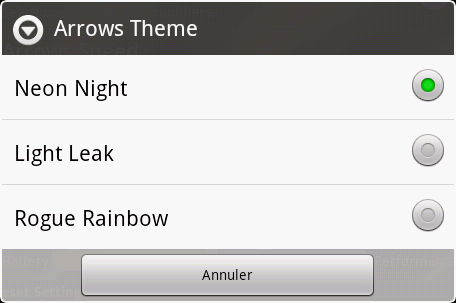 Just select a theme to change the background and the colors of all arrows. Adjust this setting as you see fit. Choose between saving battery or boosting the graphical performance. 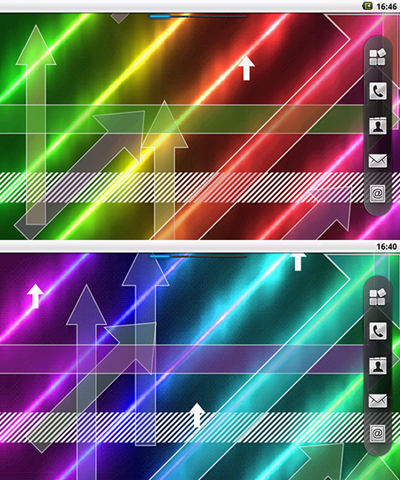 Screenshot showing all possible variations of the FREE version. 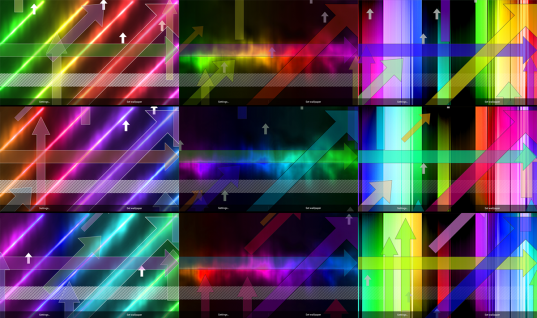 The FREE version is ad supported, meaning it requires internet access and network state permissions also, this version won’t get as many updates as the FULL version.The FREE version has a single theme (Neon Night) and two color schemes (Original and Sunrise). And that’s not all, the FULL version doesn’t have ads. Also, new updates will be pushed more frequently to the FULL version and possibly new features and content will be added exclusively to the FULL version. 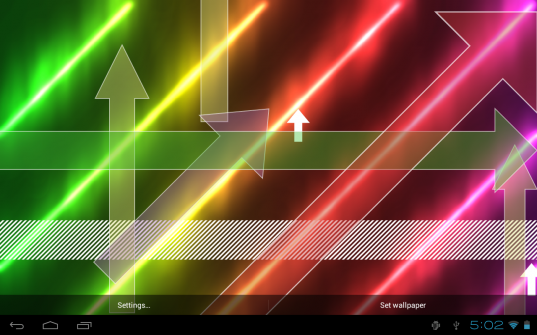 The Arrows Live Wallpaper has been designed to be compatible with Android 2.1 and above. Needless to say, your feedback is important, so please, leave a comment! Additionally, if possible, please help me spread the word by sharing this post on social websites. It’ll only take a minute of your time and it makes a world of difference to me, you’ll just need to click at one of the share buttons below to share this!